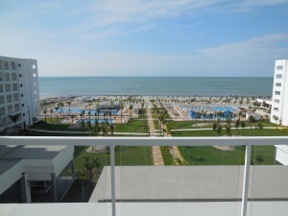 A recent trip involved “kicking the tires” at the newly opened RIU Playa Blanca in Panama. One vacation souvenir I always shop for is headwear. 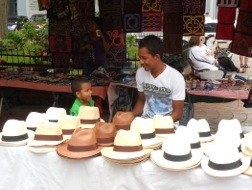 So, what could be more appropriate than adding an iconic Panama hat to my wardrobe? Another reason to own one – this is the Panama Canal’s centennial celebration. It had been 20 years since my last visit to Panama City. At that time, it was an unremarkable third world capitol; grimy and run down. Landing at the sleek Tocumen International Airport in Panama City was my first hint that a lot had changed. I was further amazed as my shuttle to the beachfront RIU Playa Blanca whizzed past glittering skyscrapers lighting up the picturesque harbor. Arrival at the resort was welcoming and efficient; always appreciated after a long travel day. The stylish, comfortable room provided a quiet, restful night. 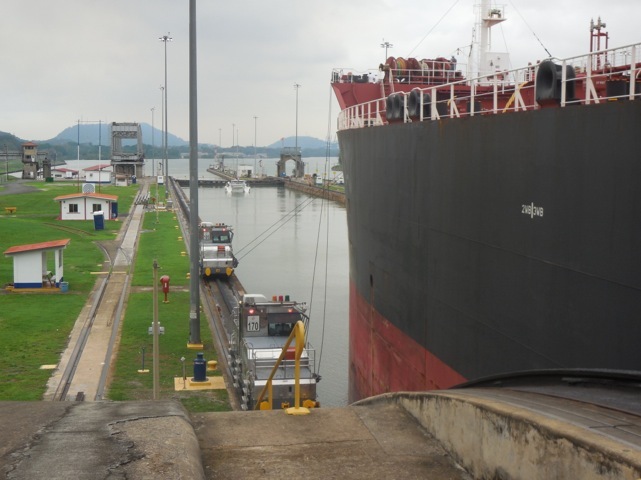 The Panama Canal is an essential sightseeing stop. I was able to stand near the lip of “the Big Ditch” at the Miraflore Lock (where there is also a visitors center). By chance, a tanker and a sailboat were both in the lock. Our guide estimated that the sailboat paid $800 and the tanker $300,000 for the transit; cruise ships pay up to $500,000. Next on the schedule was a day-trip to Valle de Anton. This quaint village is located on the floor of a collapsed volcano crater. Its mild climate, trails and artisan markets make it an ideal tourist destination. A highlight was a hike through the rain forest to the Chorro El Macho waterfall. The area is also one of Panama’s premier birding spots and home to the Blue Morpho (one of the largest butterflies in the world) and the endangered Golden Frog. Our tour stopped at the Tuscan inspired La Casa de Lourdes, a bed and breakfast, with a world-class restaurant. The setting is memorable, featuring lush gardens and mountain views. Sound asleep at the RIU that evening, I was awakened as my bed gently rocked and rolled to a 6.8 earthquake located off the coast 80 miles away. I called the hotel operator for confirmation and laughed when I discovered that we were both from California and perhaps the only two who realized what had happened. Urban discovery followed as my home base moved to the cosmopolitan, five-star RIU Plaza in the financial district. 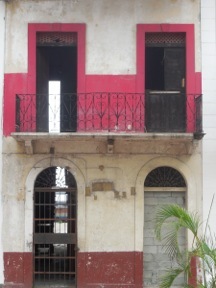 Panama City offers upscale shopping and fine dining, but for me it provided the opportunity to explore the UNESCO World Heritage Site of colonial Old Panama, Casco Viejo. Perfect for wandering, there are restaurants, bars, shops, galleries and open-air markets. Don’t miss the informal Fish Market (www.facebook.com/fish.market.panama) serving first-rate Panamanian specialties. My experiences at all RIU Hotels have been consistent; top-notch service and a quality product. Their new all-inclusive Playa Blanca Resort is a jewel. There are 573 guest rooms and suites, four restaurants, five bars, disco, fitness center, four pools, water-sport center and, of course, the beach. Plan on spending time in Panama City at their luxurious high-rise RIU Plaza. There are 644 beautifully appointed guest rooms and suites, 24 hour room service, three restaurants, lobby bar and sushi lounge, free wi-fi, pool and a wellness center. For all RIU destinations and reservations, go to http://www.riu.com. Tourist friendly Panama provides 30 days emergency medical assistance free to visitors. And, there is a big immigration push to attract Americans and Canadians via tax incentives, etc. For information go to http://www.visitpanama.com. Summing it up: RIU and Panama make an impressive pair. And, to top it off, a Panama hat has been added to my collection.